begin to dig: Seeing Sleep: towards the perfect sleep rep. Follow @mcphoo Tweet It's not new to say EVERYONE needs a coach - whether for fitness, business, academics - anything where skills are involved, a coach is a plus. The coach is there to give us cues on our technique and provide feedback on our progress. We spend a THIRD of our lives asleep It's critical for our health and wellbeing. People are at greater risk of death from poor sleep; we go funny without REM sleep; kids/teens have been shown to be more depressed and tend towards obesity from lack of REM. More of us than not, however, know that either (a) our sleeps are crap or (b) we're not getting enough or (c) even though we're getting the hours in we still do not feel refreshed. That's unreservedly unhealthy. And if there are skills involved in getting better sleep, where's the coach for sleep? Where's the tips, the progress logs and the feedback? A small company outside Boston, MA has been developing an answer to that question. It's called Zeo, and it may help change the quality of our lives. The following is the first part of an interview with Zeo sleep researcher, Stephan Fabregas, about sleep, what it is, why it's important and how zeo might fit in. Background: Sleep Quality and Quantity. Ask bodybuilders about sleep and they'll tell you - perhaps more than any other athlete - how important sleep is for their prime directive: build muscle. Sleep is where that process happens. So they know the value of good sleep. Most of us, when we think about sleep at all think about the importance of getting 7-8hrs of sleep. But it turns out, for great sleep, we need to think about not just hours of eyes shut, head down, but about quality of sleep. For nations where people chronically walk around sleep deprived, asking folks to think about quantity AND quality may be going too far. 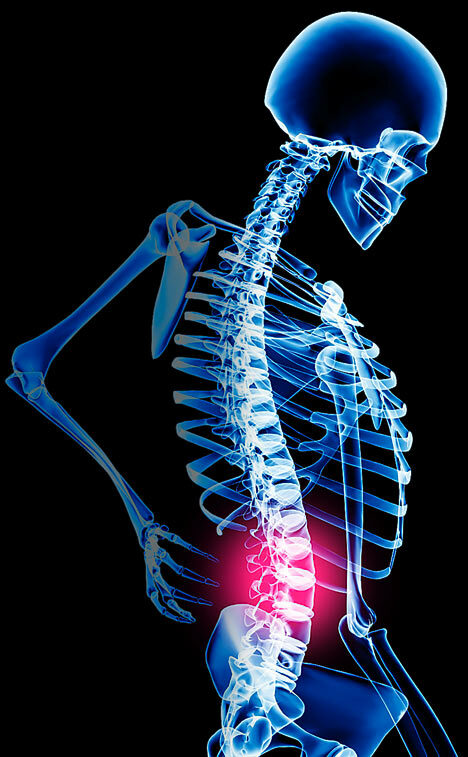 But as in strength practice itself, it's not how many reps we do, but how many quality reps we do that really count. When i first met Stephan he asked me draw what i thought the perfect sleep is supposed to look like. What i drew looked like a single half of a single sign wave: a curve dipping down into deep sleep, than gently coming back up out towards wake. EEEEHHH. Wrong. Typical idea, but way wrong. Quality of sleep means sleep cycles. Plural. 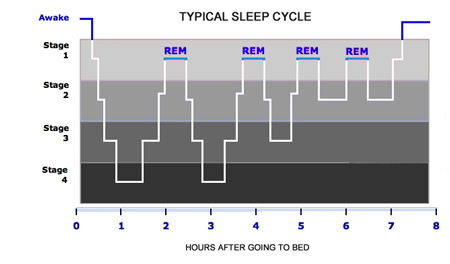 Time in a cycle is spent in four pretty discrete sleep phases - deep, REM, light and wake. Wake is part of a sleep cylce? In fact it is. It's actually natural to wake up for short spurts at night - and not even remember that we did. A good night's sleep has at least four of these cylces where they get progressively more shallow - that means less deep sleep cycles as the night turns to morning. Why are these sleep phases important to know about? because if we get them wrong - and get hauled awake out of a deep sleep for instance, it can wrech the rest we need and make it hard to go back for more. It's also very unpleasant to our systems. It's this respect the cycle knowledge that also means that naps should either be only 15 mins - a light sleep phase - or 90 - time to go through a complete cycle. Trying to sleep for shorter or longer can again disrupt sleep patterns making it harder for us to recover those precious zzz's at night, or get the refreshing benefit a nap's supposed to give for the day. So how do we know how well or not we're sleeping? WHile our loved ones might be able to tell us we're behaving like bears, we're getting up on the wrong side of the bed or we're walking around like zombies, there's a more precise way to do this, which is to measure the brainwave patterns of the frontol lobe while a person's asleep. Oh sure - i'll just check into a sleep lab you say. Well, there's actually a new device on the market called a Zeo which does this measuring for the home user. Less expensive than a high end heart rate monitor, the zeo gives its user direct, measured, quantitative data about qualitative sleep. And it provided an online coaching program to help make sense of that data for enhancing sleep quality. Part of my research happens to be about how awareness of personal state may enable enhanced quality of life, and foster innovation and creativity, so i was very happy recently to be able to sit down with two of Zeo's main geeks Ben and Stephan about the Zeo to get them set up in our lab. Stephan and i have also been chatting about sleep, its role in evolution, and how the zeo came to be. Stephan, let's start with something basic. What is a good night's sleep? Ok we'll come back to that one. You do something rather rare: you put time into sleep - and figuring out how to make it better. How did you become a sleep guy? My entry into the world of sleep: As a college kid, sleep was a complete mystery. It was just a time when I conked out. But I did enjoy a good night of solid sleep, so thought it would be fun to take a class where I could really study in my sleep, as it were. It was just curiosity. SO i became a "Sleepy Guy" serendipitously. I took an intro to sleep class during my freshman year at Brown, taught by eminent sleep scientist Mary A Carskadon. I then ended up a biology major, then worked in a sleep lab (Monique LeBourgeois, also at Brown) after graduating. We did work with healthy young kids (2-3 years old). I learned a lot and had a blast. Then this opportunity at Zeo came up and I've been here since (3 years +). At the time though - [being an undergrad] - , I could sleep like a champ, but I remember just being exhausted. 5 hours of sleep at night was clearly not enough, but it just wasn't on the radar... Freshman year that was the last thing on anyone's mind, so nobody got enough sleep. I can say that since then, and I'm not alone regarding this at Zeo, I've definitely made sleep much more of a priority. If I get less than 7 hours now, I just know it's going to be a miserable day. Crap sleep isn't unique to student life, is it? It's one of a triad of things that seems to let go when we belive it seems the Life of the Head as i call it is under pressure: food goes, moving goes, sleep goes. But sleep still seems to have the worst end of the stick - we know about eating right and exercise. what's with sleep? Sleep in culture: Getting by on as little sleep as possible seems to have become a badge of courage (or efficiency, rather) in our culture. I think that's only recently changing. Bill Clinton was notorious for only getting 4 hours of sleep at night and everyone was so impressed at how efficient he must have been. Then you realize that he was falling asleep at very inconvenient times, and then all his heart problems. Just recently he's decided to change his ways and get much more sleep. This is the kind of recognition I mean. Very similar to my experience since college. You can survive on little sleep, but once you start getting enough, it's like night and day, so to speak. Other examples: think of how many people don't get the sleep they want... then think about how much sleep impacts so many vital health issues... then consider that when people bring up some of the most important health issues of our age (heart disease, diabetes, cancer, obesity...) sleep is generally not on the list, even though it's becoming more and more clear how important good sleep really is. Diet and exercise are things that people take for granted as having an effect on these issues... sleep just usually isn't considered in that way by most people. We have some ideas about why sleep is good for us... but nothing that suggests that it's just supremely essential (which you might expect if you're going to be unconscious to a dangerous world for a third of your life). There are some good arguments for why theories that are out there aren't sufficient to explain the cost/benefit ratio of the evolution of sleep. And most of the ideas that we do have are incredibly new. Like last decade or two new. I think we have some ideas now, but when I took that class my freshman year in college... sleep science didn't have any good idea, or at least that was the way it was taught to me. For we don't know why or how sleep is important... we have some clues, but nothing terribly solid. It's complex, but I think that's my point. There's no single, magic answer to the question of why we sleep. Why we breath: easy answer. Why we eat: easy answer. Why we should exercise: easy answer. Why we sleep: um, it may be a time of rest and recuperation... But why couldn't you just rest and recuperate while conscious? Wouldn't that be much better from an evolutionary standpoint? Like I said, it's complex. Would be easier to talk about this one than write it all out here. I'm not a big fan of the term "hygiene", in general. It's very sterile. And I think it tends to make people roll their eyes. "Sleep hygiene" sounds intimidating, and rigid. When really, it means using common sense about sleep. Keep control of light, noise, comfort, and temperature, and that puts most people in a better position for a good night's sleep. Then there are things like relaxation and exercise and nutrition that go beyond "sleep hygiene" that are also important. So what's exciting right now in sleep research? Anything coming out of sleep research right now is very exciting... the field is still "young" when you compare it to other major health areas like heart health or nutrition. That is, it's only now receiving proper recognition for its role in overall health. However, to be more specific, any research that explores solutions to people's sleep issues or builds the case for the importance of sleep is of interest right now - it's just fun and games unless it provides utility to people. Then, on a personal level, I'm interested in the evolutionary role of sleep. It's so counter-intuitive from an evolutionary standpoint, that it must be incredibly vital for survival... And we're still not sure how or why. That's quite a challenge. I've shared with you my fave curiousity about getting deeper sleeps: eat high GI carbs 4 hours before going to bed. What else is coming out of research that may have practical value for sleepfulness? Sleep tips from research: Your finding of carbs as a snack before bed can be pretty functional. I know that little things for me have worked. Dark shades over my windows have worked wonders. I don't work in my bedroom, and that's certainly created a great stress separator that works. These are all examples of strategies that come from the literature. One of my favorites, because it's just not intuitive, is that drinking a small glass of ice cold water may help induce sleep (cool the core, heat the extremities). Ok that's definitely intriguing. Especially with other suggestions like having a warm bath to help relax before sleep. Agreed totally on the windows and on reducing the audibility of noises in the night. So where in this scene does seeing sleep with a zeo make sense? how or why does zeo make sense? Zeo makes sense because it's the first tool people have available to look into a third of their lives that has been a mystery. Think of that sleep graph I had you draw (u-shaped), and then the one I drew (like waves)... Knowledge is the first step to gaining control. And then Zeo provides information and tools to help you take that control and understand that sleep is an active process that is quite malleable. Cool, we shall talk more about the Zeo, the long-lasting effect of caffeine on sleep and how or whether to try to manipulate sleep states in our next instalment. 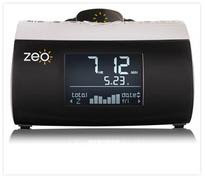 Folks who'd like to get a better sense of sleep - there's a garden of information on the Zeo site in the Sleep Information center. In the meantime, Stephan, when you're not thinking about sleep, what are you up to? What does a Sleep Guy eat? A history of god by Karen Armstrong,and I think my next book will be The Man Who Loved Only Numbers about Paul Erdos. Cooking/eating - I make a mean Mac & Cheese and love lasagna like nobody's business. And I try to make it to the cheese shop about once a week. It's the best part of the week. (But don't worry, I try to balance out this vice with plenty of regular, vigorous, exercise.) Music-ing - live music is unbeatable. I subscribe to the Boston Symphony Orchestra every year, and love seeing the best in blues - BB King, Buddy Guy, etc. Although, it seems to be a hip-hop morning with the Pharcyde playing in my iTunes right now. Part II of the begin2dig interview with Zeo Sleep Guy Stephan Fabregas follows soon. once i've gone through a full coaching cylce with it. I'll read through this better when I am more awake. As a person with chronic sleep deprivation due to job and having a form of Narcolepsy, I can attest to the dangers.I first sought help after falling asleep at the wheel while driving to the beach after getting a full night's sleep and only having been on the road for an hour. I did sleep study tests and my nap study showed that I went into REM sleep in less than 5 mins for 4 naps. I fall asleep at night and go right into REM and then if I wake up with 10 mins of going to sleep, it's like I've slept all night, so the rest of the night is poor sleep. I get up at 3:30 for work and then try to fit naps in. Some days I sleep for hours during the day, some days just short naps. I am the walking dead. Everything is effected including workouts because I am so exhausted. I take Ambian to sleep but will still wake up early. Wearing lack of sleep as a badge of honor??? That is outright stupid. My son lost a friend due to driving while sleep deprived. The man fell asleep and killed himself, a couple of his kids and grandchild. Sorry for such a long post, but it's a very important topic. Thanks very much for posting. How's it going with your own sleep? are there strategies you've used that help? I have very similar issues as the Queen. I don't have the narcolepsy, but I have for a very long time had a lot a of problems falling asleep and staying there. Not to mention, the last couple of years the prostate has been making things worse, with far too many trips to the bathroom. While it's been a problem for quite a while, lately it's really getting to be an issue and is affecting my entire life. I have tried Ambian and then Adderall to stay awake and be able to drive and function during the day. I've tried no naps, short naps and long naps. I go to bed before 10:00 most night. I use hypnosis tapes. Some nights are better than others. The worse part is it effects my workouts. I can barely function. I have read studies on weight gain and lack of sleep and cortisol and I'm pretty sure all of that is keeping me heavier than I would like combined with not enough workouts. It's horrible. I've been without much sleep the last few days so I'm sure I will crash hard this weekend. This is a relevant topic for me. I'm a 52 year old male and not sleeping as well as I used to, due to prostate enlargement and who knows what else. Since I used to be such a good sleeper, I am discouraged about my sleep these days. Thanks all for reading and for the comments. MC - love the post. Sleep does tend to get tougher as we age and other issues get in the way. However, that doesn't mean we're doomed to poor sleep when we get older. Just like with a good workout routine, it's never a bad idea to step back and make sure to cover the basics. 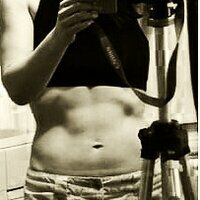 Take control of the easy stuff - light, noise, comfort, diet. Then, when you tackle the bigger things, your chances are that much better. And along the way, if you're measuring your efforts, you're likely to be closer to reaching your goals. Here at Zeo, we believe in the adage, "If you can measure it, you can manage it." I find that's as true for my own sleep as it is for my workouts. And of course, for anyone who thinks they may have a real problem, your doctor is the best resource. while the study is not conclusive towards finding direct causality between sleep duration and mortality levels, lets for sake of argument assume there is a link. Quality sleep is good. Is too much sleep bad even if it is high quality sleep? Quality aside, we as humans we have basic needs such as food, air, and sleep. We know that it is possible to overeat and how harmful that can be. Over-breathing has been shown to lead to a number of health issues. Is it too far-fetched to assume that there could be an optimum duration of sleep to attain each night to refuel the body and that too much might be detrimental?